Another day means more new video slots to enjoy – you get to head to Mount Olympus alongside Greek Gods and into outer space with superheroes. First up is Ancient Fortunes: Zeus which is powered by Microgaming – with 5 reels and 10 paylines, you join Zeus, Poseidon and other legendary Greek Gods atop Mount Olympus. It comes with the Rolling Reels feature where each consecutive win increases the multiplier up to 7x. It’s all about the Free Spins feature where you begin with up to 20 free spins. The Rolling Reels apply but the multiplier values are much bigger with potential multipliers up to 21x. There are also 50 more free spins to be won! 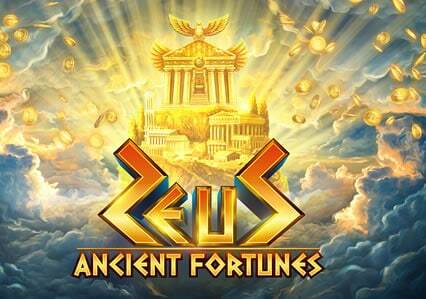 For more details, go to the Ancient Fortunes: Zeus video slot review. 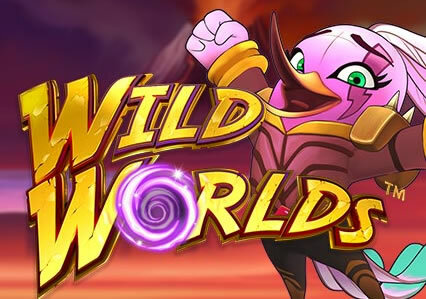 Wild Worlds is from Net Entertainment and has 5 reels and uses a Cluster Pays engine. Set in outer space and based on a trio of bird superheroes who are trying the save the worlds from monster villains, it uses an avalanche reels mechanic where you can win again and again from each spin. You can benefit from hero symbols becoming wild, coloured symbols being destroyed from a new symbol drop and a Free Spins feature. Here there are wild extras which sees wilds stick in place, up to 4 random wilds land and spreading wilds. To find out more about this odd-themed title, visit the Wild Worlds video slot review. 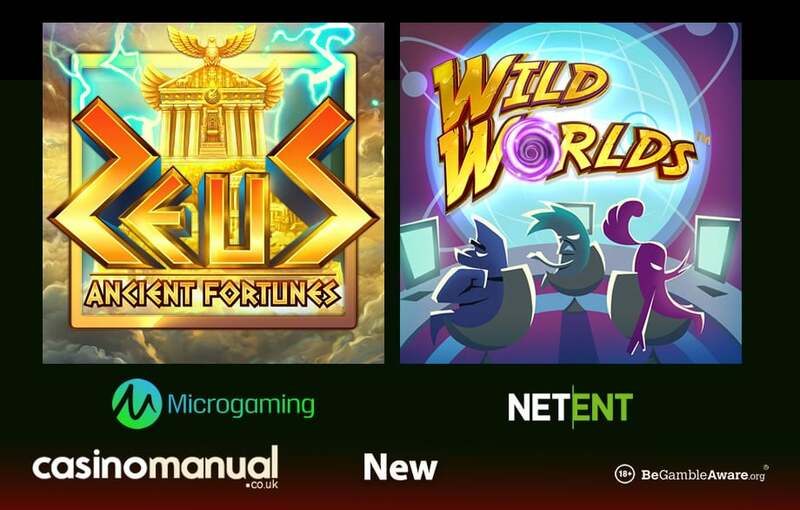 You can play both Ancient Fortunes: Zeus and Wild Worlds at LeoVegas Casino – with over 1,250 video slots, they have tweaked their welcome offer. When you register, you will get 20 no deposit free spins on Play ‘N Go’s Rich Wilde and the Book of Dead. On your first 4 deposits, you will get a 100% match bonus up to £100 plus up to 25 bonus spins (on Rich Wilde and the Book of Dead). This means you can get up to £400 in bonuses and 120 bonus spins (20 from signup and 100 from the first 4 deposits).